The fifth season of the TNT crime drama Rizzoli & Isles recently premiered, sadly without co-star Lee Thompson Young who passed away last summer. The first two episodes of the season, titled “A New Day” and “ . . . Goodbye,” dealt with his character’s resulting death and the grief of his fellow detectives at the Boston Police Department. To say that they were heartbreaking hours of television to watch would be an understatement. Paramount’s New York Street is comprised of five acres of Manhattan-esque structures, all of which can be viewed on the Paramount Pictures Studio Tour, tickets for which run $53 per person. Standing among the massive buildings is nothing short of magical and, even though I have been on the tour no less than seven times, is an experience that never ceases to awe me. 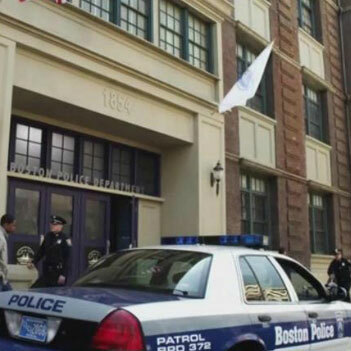 The Rizzoli & Isles’ Boston Police Department “building” is just a thin façade that covers the side of Soundstage 15. The edifice has been around since the early ‘90s (Paramount’s New York backlot burned down in 1983 and was not rebuilt until 1992) and has been featured onscreen countless times. 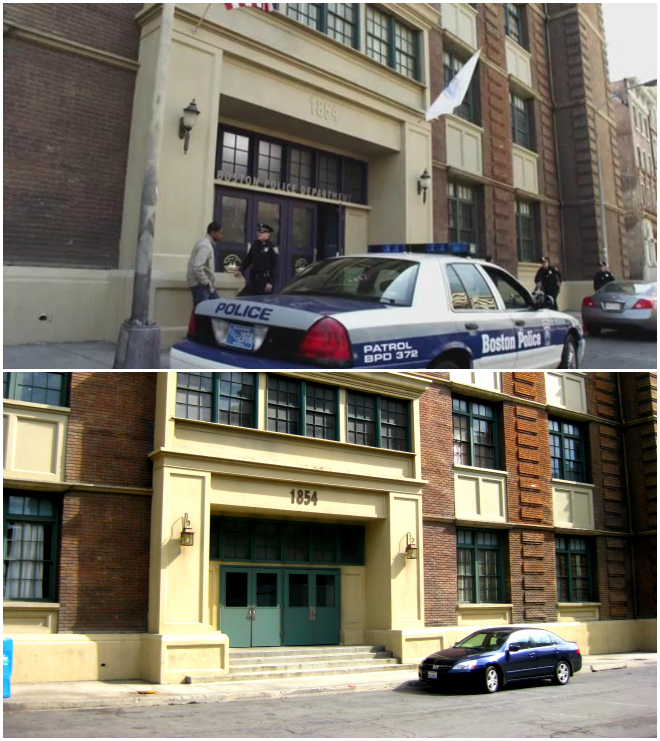 The façade also served as the Hollywood bus stop where Peppy Miller (Bérénice Bejo) was dropped off for a dance audition at the beginning of the 2012 Academy Award Best Picture winner, The Artist, and the frontage stood in for Tattaglia High School on the television series Everybody Hates Chris. It can also be seen in the Season 2 episode of Friends titled “The One with the Baby on the Bus.” While Friends typically shot at Warner Bros. Studios in Burbank, that particular episode called for a larger backlot than the WB had to offer, so Paramount’s New York sets were rented out for the day. Although Rizzoli & Isles will never be the same without Thompson Young’s Detective Frost (and his hilariously squeamish stomach), as they say in Hollywood, the show must go on. Photos: A screen capture from a Season 4 episode of Rizzoli & Isles (top) and a photograph of the location taken in October 2010, courtesy of Lindsay Blake (bottom). Previous articleSo You Wanna Be A Cicerone?